This PHP Script easyComment is a php comment system. This Script comes with a lot of features. This PHP Script easyComment gives you everything you could ever want in a comments system. This has admin/mod/member commenting or guest commenting. It also has a complete admin area to easily manage comments, reports and other options. 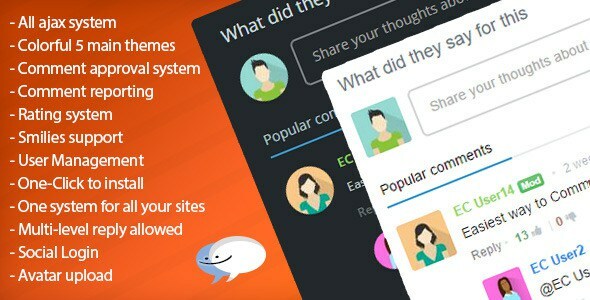 0 Response to "easyComment – Codecanyon Php Comment Script"